We are a leading Manufacturer of tubular protective netting from Chennai, India. 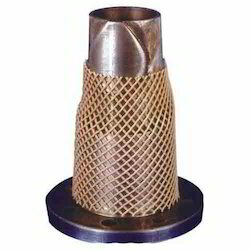 Tubular Protective Netting is a polymer-based safety sheath used in the packaging of glass bottles, tubes and delicate machine components like shafts, gears, precision bolts, and pistons. Made from tough and durable fabric on the exterior and a cushioned interior. It provides excellent protection to even the most fragile object. Its high flexibility in design enables it to be used on any surface, with ranging from and is used extensively across the glassware and high precision engineering industries. Looking for Tubular Protective Netting ?